If you need an emotional lift, try listening to hymns. Better yet, choose gospel music. A team of researchers from four top universities reports that listening to religious music is associated with a decrease in anxiety about death and increases in life satisfaction, self-esteem, and sense of control over our lives as we age. 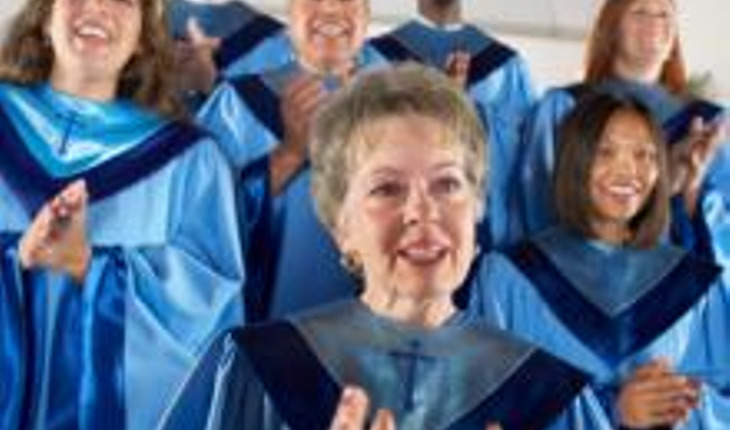 In particular, listening to gospel music is linked to reducing anxiety about death and an increase in sense of control. Those are the findings of investigators at Brown University, the University of Texas-San Anotnio, Bowling Green State University, and Duke University. The article was published online in April 2014 in The Gerontologist. The findings are similar for blacks and whites, women and men, and individuals of both low- and high-socioeconomic status. The data for the study come from two waves taken in 2001 and 2004 of the nationwide Religion, Aging, and Health Survey of older black and white U.S. adults. The population consisted of household residents who were either black or white, living at home rather than in a care facility, English speaking, and at least 65 years of age. Responses were collected from currently practicing Christians, those who identified as Christians in the past but no longer practice any religion, and those not affiliated with any faith at any point in their lifetime. The present analysis is based upon 1,024 people who participated in both waves of the survey. “Given that religious music is available to most individuals — even those with health problems or physical limitations that might preclude participating in more formal aspects of religious life — it might be a valuable resource for promoting mental health later in the life course,” the authors wrote.